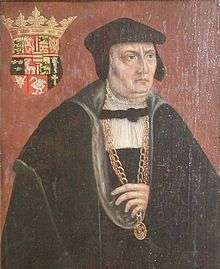 The house of Oldenburg held the Danish Crown between 1448 and 1863, when it passed to the house of Schleswig-Holstein-Sonderburg-Glücksburg, a cadet branch of the same house, patrilineally descended from King Christian III of Denmark. 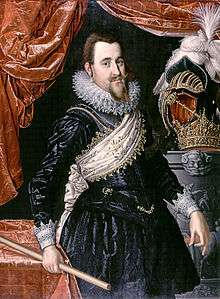 The kingdom had been elective (although the eldest son or brother of the previous king was usually elected) until 1660, when it became hereditary and absolutist. 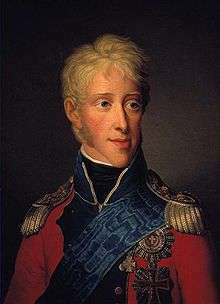 Until 1864 Denmark was also united in a personal union with the duchies of Holstein and Saxe-Lauenburg, and in a political and personal union with the Duchy of Schleswig. Chochilaicus—see Hugleik and Hygelac—c. 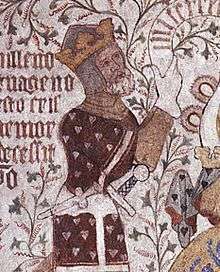 515 AD, First Danish King mentioned by Gregory of Tours (538–594). 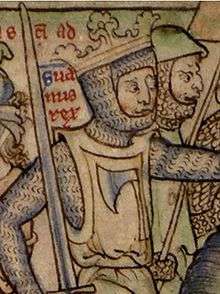 Hugleik, according to the written sources suffered a defeat in 515 during a naval expedition to the Frankish Empire. 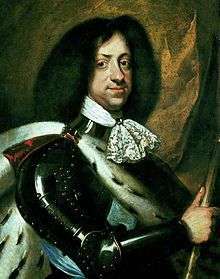 Hugleik is the first Danish king mentioned in European sources. 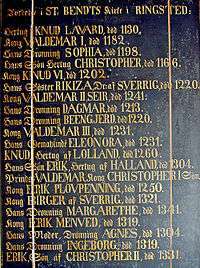 Gudfred: 804–810 mentioned as Danish king in the Treaty of Heiligen 811. Harald Klak and his brothers Ragnfrid and Hemming Halfdansson: 812–813 and again from 819/827. 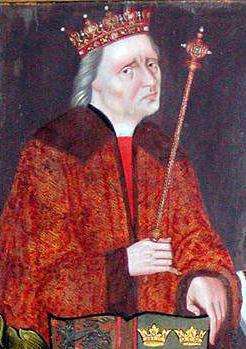 From 826 he and his household lived in exile with the Frankish emperor Louis the Pious, he was baptized by the bishop of Mainz in Ingelheim am Rhein. 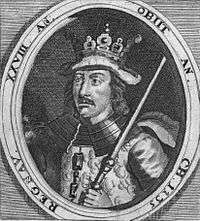 The last reference of Harald in the written sources are in the Annals of Fulda this records his execution for treason in 852. 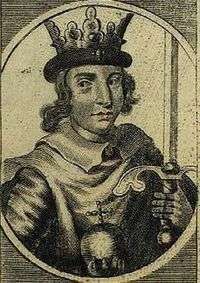 Horik I: (814) 827–854. king of the Danes (at first ruling jointly with his unnamed brothers). 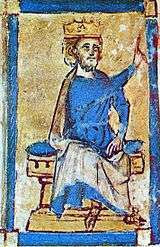 The Frankish annals mention Horik on numerous occasions during the next couple of decades. 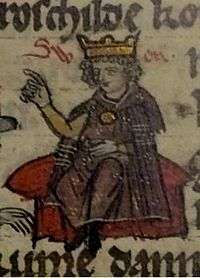 Horik II: 850s–860s. 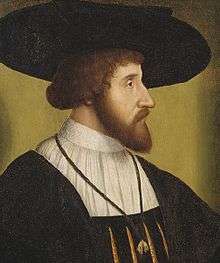 He is believed to have been the immediate successor of Horik I, but the annals are silent about the name of the Danish king for a few years after the disaster of 854. 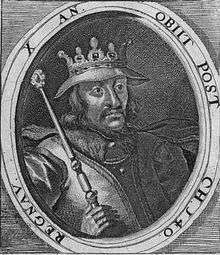 In 857, Horik II allowed Rorik to occupy the part of the kingdom between the sea and the Eider. 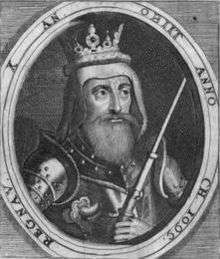 Horik II was still alive in 864, when a letter was addressed to him by Pope Nicholas I. The "House of Olaf": late 9th century and early 10th century.. 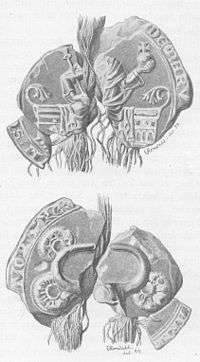 This dynasty is mentioned in the two Sigtrygg Runestones raised shortly after 934. The two inscriptions are evidence for the House of Olaf controlling at least part of Denmark. Sigurd Snake-in-the-Eye (da: Sigurd Orm-i-øje or Snogeøje). Mentioned by Chronicon Roskildense and Ragnarssona þáttr. 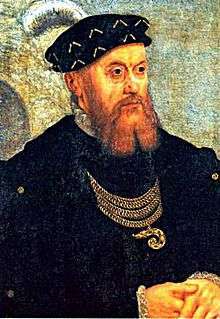 Said to be king of Zealand and Scania, and son of Ragnar Lodbrok. Ragnar Lodbrok was a legendary king probably in the 9th century, is mentioned in multiple sources, but the sources are wildly inconsistent. ↑ "Nordic FAQ - 3 of 7 - DENMARKSection - 3.3 History". Faqs.org. Retrieved 11 December 2014. ↑ "TimeRime.com - Danmarks tilblivelse timeline". Timerime.com. Retrieved 11 December 2014. ↑ Fokus 1. Fra Antikken Til Reformationen. Books.google.dk. Retrieved 11 December 2014. ↑ "De første Daner-konger?". Nationalmuseet. Retrieved 11 December 2014. ↑ "Danish Kings before 873". Rootsweb.ancestry.com. Retrieved 11 December 2014. ↑ The A to Z of the Vikings. Books.google.dk. Retrieved 11 December 2014. ↑ Skovgaard-Petersen, Inge (2003). 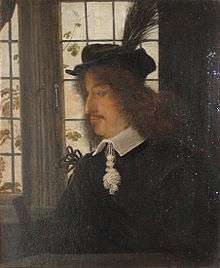 "The Making of the Danish Kingdom". In Helle, Knut. The Cambridge History of Scandinavia: Prehistory to 1520. Cambridge University Press. p. 174. ISBN 0-521-47299-7. 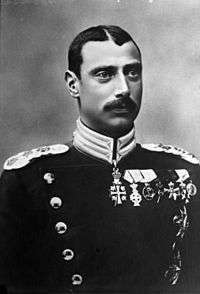 ↑ "Christian IX". Official website of the Danish Monarchy. Retrieved 2010-12-21. 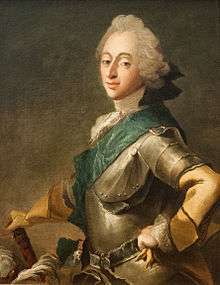 ↑ "Frederik VIII". Official website of the Danish Monarchy. Retrieved 2010-12-21. ↑ "Christian X". Official website of the Danish Monarchy. Retrieved 2010-12-21. 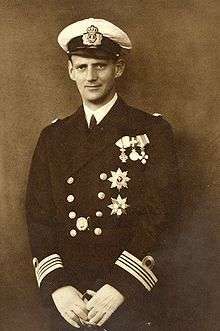 ↑ "Frederik IX". 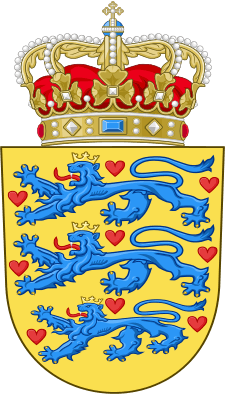 Official website of the Danish Monarchy. Retrieved 2010-12-21. ↑ "HM The Queen". 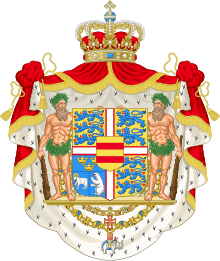 Official website of the Danish Monarchy. Retrieved 2010-12-21.